At McGowan, Hood & Felder, LLC, nursing home neglect cases are among the most complicated cases that our attorneys in SC handle. What makes nursing home neglect cases so difficult is they often involve people who are already in need of care due to their age, physical well-being or emotional state. As a result, signs of neglect are sometimes dismissed as simply a matter of old age or declining health. That’s why it’s critical you contact us if you suspect your loved one is a victim of nursing home neglect. Our South Carolina nursing home abuse and neglect lawyers are familiar with many common nursing home neglect injuries. Whether it’s bed sores or malnutrition or dehydration, we know what evidence to look for and how to build a rock-solid case. The signs of nursing home neglect can sometimes be extremely subtle. That’s why you need a well-trained injury attorney in South Carolina who can give your family’s case the attention it rightfully deserves. Your family has suffered enough. Allow us to help you make things right. We’re on your side. Bed sores (also called pressure ulcers) develop from prolonged pressure placed on the body through inactivity. Bed sores often appear on areas of the body with little fat or muscle, such as the spine, hips, heels and shoulders. Severe bed sores can damage muscles, bones and joints. These sores can develop quickly, and they are often difficult to treat. Many elderly individuals are unable to move or shift themselves to alleviate pressure placed on various parts of their bodies, especially those who require use of a wheelchair or are confined to bed. Complications of bed sores include sepsis, cellulitis, bone and joint infections, and even cancer. Nursing homes that fail to routinely move or shift their residents, thus causing bedsores, must be held accountable for their negligence. The state licenses nursing homes, so they must adhere to state and federal regulations in offering care for their patients. Therefore, nursing homes should assess elders for risk factors for falls, such as walking and balance problems, in order to offer adequate care. The definition of a fall, according to the Centers for Medicare and Medicaid Services, is a failure to maintain an appropriate lying, sitting or standing position, resulting in an individual’s undesired relocation to a lower level. In addition, an episode in which an individual lost his balance and would have fallen without the help of a staff member is also a fall. Fight incompetence and abuse and contact our South Carolina injury attorneys at McGowan, Hood & Felder, LLC today. Our Rock Hill, Columbia, Sumter and Anderson offices represent clients throughout Charleston, Greenville, Myrtle Beach, Florence and Spartanburg. Victims of nursing home abuse and neglect are often helpless in defending themselves against malnutrition and dehydration. 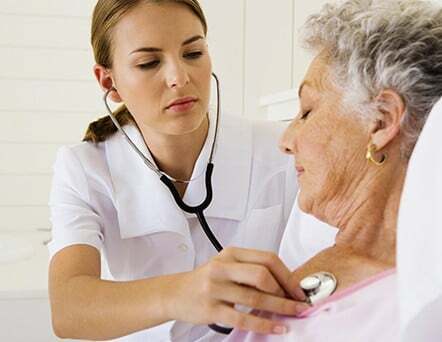 The state licenses nursing homes and other healthcare centers, so they must meet quality standards. Unfortunately, nursing home abuse still occurs all too often. If a loved one has been victim of nursing home neglect through malnutrition or dehydration, contact our South Carolina injury lawyers at McGowan, Hood & Felder, LLC. It is the responsibility of the nursing home or care center to provide each resident with proper nutrition. If you suspect that a loved one is being malnourished in a nursing home, it is important to seek legal counsel immediately. Dehydration in nursing home residents should be taken very seriously. The effects of dehydration can be severe, even causing premature death. Nursing homes and other care facilities are required to meet the basic needs of their residents, and proper hydration is essential in maintaining the health of any individual. When nursing homes fail to provide adequate nourishment and hydration for their residents, elderly victims suffer needlessly. Nursing homes often deny neglecting patients. Instead, nursing homes often insist your loved one lost weight or slipped and fell due to their own careless behavior. Nursing homes also often try to explain sudden weight loss or bed sores due to natural causes. Don’t be so sure. If you suspect neglect, contact us immediately. We can investigate your nursing home neglect case and fight for your loved one’s rights. Malnutrition, dehydration, bed sores and falls can all lead to unexpected deaths in nursing homes, along with other diseases and illnesses that may be neglected or improperly treated by nursing homes. Therefore, questionable circumstances around an unexpected death of a loved one in a nursing home call for an investigation. Contact South Carolina attorneys who know the rules and regulations to which nursing homes must adhere, and who will fight incompetence and abuse for you. McGowan, Hood & Felder, LLC contacts the South Carolina Department of Health and Environmental Control in initiating an investigation involving nursing home abuse and neglect. Our office requisitions records, staffing information, video footage and documentation regarding the care and health of a neglected or abused patient. We expose abuse, identify neglect and demand compensation for our clients.